If you’re not familiar, Ally Home got into the mortgage business late last year, essentially rising from the ashes of GMAC Bank/ResCap. Now they want to separate themselves from the crowd by ensuring you get the best price on your mortgage, or at least equal to what you may have found elsewhere. But is matching enough? And what about lender fees? In a nutshell, Ally Home will match the interest rate and points (if applicable) of another lender if it happens to better what Ally Home offers you. All you have to do is let your Ally Home loan advisor know you’ve got a better offer and they’ll match it. That entails sending over the competing lender’s completed Loan Estimate, which must be dated within the past five business days, at the time you wish to lock your loan with Ally. In order to be eligible, the loan programs have to be the same too, obviously. There is a bit of a gotcha here, at least in my opinion. Ally Home will only match the mortgage rate and points. There’s no mention of fees. So it’s possible, if I’m interpreting this correctly, that Ally Home could match the rate and points, but charge more for underwriting and processing, along with other third-party fees. That’s why you have to go through each Loan Estimate with a fine-tooth comb to ensure you don’t miss anything. It’s also somewhat disappointing that Ally Home is simply matching the offer of another lender. You think they’d improve it somewhat. But perhaps they believe they’ll offer a better home loan experience. I’ll add that the company still has a special offer going at the moment whereby you get a .125% interest rate discount, though not for much longer. It applies to both purchases and refinances and the rate must be locked by July 31st, 2017. I’m not sure if you can combine both offers, but if so, you could actually beat out the competition, as opposed to just matching them. Ally Home provides an example where the savings could be more than $7,500 over the life of the loan on a typical 30-year fixed mortgage. 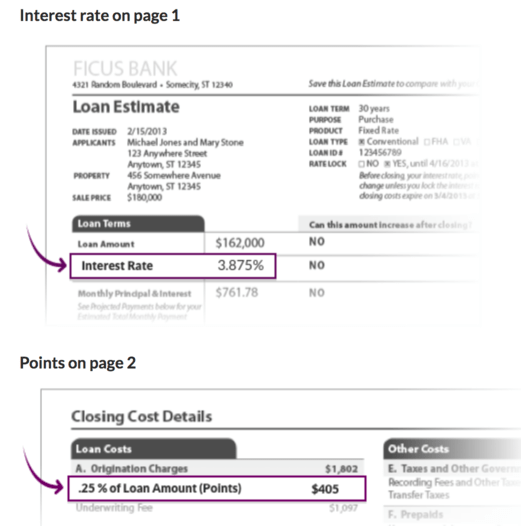 It assumes a conforming loan amount of $300,000 if the rate were lowered to 3.875% from 4%. The savings are substantial and illustrate the power of an eighth. Late last month, Better Mortgage launched a similar promotion where the company will give you $1,000 if they’re unable to beat another competitor’s price. The trick with them is that they don’t charge lender fees and keep third-party fees low, making them hard to beat.